With the increase in speed limits, the requirement for advanced braking system has also increased, as India ranks among the top countries in road accidents. The increase in the demand for ABS in the aforementioned vehicle categories is expected to boost the Indian braking system market, say Amey Amanaji and Lalit Katare. Advanced electronic systems have already made a significant impact within the automotive industry making modern day cars more efficient, reliable, and safer. Technological advancements, worldwide safety norms and, most importantly, affordability are the key factors in making vehicles safety systems as a standard offering/integral part of modern automobiles. Improvisations in safety regulations across the globe and promotion of safety systems for additional award points in NCAP (New Car Assessment Programme) are expected to drive the demand for advanced electronic brake systems such as anti-lock braking system (ABS) and electronic stability control (ESC) systems across the globe. For instance, Euro NCAP recently announced that only cars with advance driver assistance system (ADAS) would be awarded top five-star safety ratings. The Asia Pacific region is the largest market for brake systems, with China accounting for the majority of the market share in 2018. Countries such as India, Japan, and Korea have also enhanced the automotive safety norms/regulations in the Asia Pacific region. The luxury car market in the Asian countries is witnessing a positive growth, thus raising the demand for safety systems. In the Americas and Europe, the market for ABS and ESC systems is well-established and is expected to grow at a steady rate. Robert Bosch GmbH, Continental AG, and ZF Friedrichshafen AG lead the brake system market and are recognised as prominent players in the market. Their diverse product portfolio and robust business strategies have helped these companies achieve constant growth in the brake system market. On the other hand, innovators have been at the forefront of developing new technologies and products. Brembo S.P.A. and Akebono Brake Industry Co Ltd are recognised as innovators in the brake system market. For instance, Akebono Brake Industry Co Ltd developed a new MR fluid brake that utilises the state changing properties of MR fluid in response to magnetic force. This generates a braking force without using any friction material. One of the major factors driving the demand for braking system in India is the increase in demand for passenger cars in the country. According to data published by International Organisation of Motor Vehicle Manufacturers (OICA), the sales of passenger cars in India has increased from 2.5 million units in 2011 to 3.2 million in 2017 because of various reasons such as increase in per capita income, wide financial support options, and the availability of huge variety of vehicle options in terms of price, brand, and features. The entry level cars segment still dominates the market. In 2017, the top selling car was Maruti Suzuki Alto, which is priced at Rs 2.66 lakhs for the base variant. The Alto variants lack the ABS feature. As mentioned earlier, with the increase in per capita income, the demand for mid-segment sedans and SUVs has increased recently. The SUV/MPV segment sell has increased from 190,012 units in 2012 to 938,194 units in 2017. India, being a price sensitive market, had a low penetration of electronic braking system. Such safety systems were installed in premium vehicles only. However, in the current scenario, entry-level cars are also equipped with basic safety features. For instance, Datsun Redi-GO, Maruti Suzuki Ignis, Mahindra KUV 100, and Fiat Punto EVO Pure come under 5 lakhs and are equipped with ABS safety feature. With such competition in the market and upcoming safety regulations, it is estimated that all the entry-level segment cars also will have these basic brake safety features. On the other hand, until recently, all the commercial vehicles in India were equipped with the traditional braking system. There have been many instances of road accidents caused by slippage or imbalance due to carrying more than the permitted load and undue speeds. To overcome such major issues, the government had mandated the usage of ABS for the commercial vehicle segment. Until now, Indian HCV manufacturers have not been offering such advanced braking features but foreign OEMs such as Volvo have started offering ABS/EBD in their models such as Volvo FH 520 Puller. Hence, to meet the government mandates and to match up with the competitors’ offerings the Indian manufacturers have now started offering ABS in the commercial fleets. The braking industry in India has also been influenced by the increase in the speed limits on the national and express highways. In April 2018, the Indian Road Transport Ministry introduced the updated speed limits with an increase of 20 kmph. The government has increased the speed limit on Indian roads to 120 kmph from 100 kmph for personal four-wheelers and up to 100 kmph for taxis/cabs on express highways. Similarly, the speed limit on national highways has been increased to 100 kmph for personal vehicles and 90 kmph for taxis/cabs. On city roads the speed limit has been restricted to 70 kmph for both taxis and cars and for bikes it has been increased to 60 kmph from 40 kmph. With the increase in speed limits, the requirement for advanced braking system has also increased, as India ranks among the top countries in road accidents. The increase in the demand for ABS in the aforementioned vehicle categories is expected to boost the Indian braking system market. There has been a substantial increase in the road fatalities in India from 2011 to 2017, accounting for 9.6 per cent during this period. The major causes for the accidents are commercial fleets carrying more than the permitted load, over speeding of the vehicles above the permitted limits, vehicle slippage, and poor braking system. The current market scenario is expected to change with the new regulatory framework by the Union Ministry of Road Transport and Highways. The new regulation had made the installation of the ABS mandatory for all cars and mini-buses by April 2019. The major reason for this mandate is the increase in the fatalities due to road accidents. In case of two-wheelers every new two-wheeler that has been manufactured after April 1, 2018, will have to be fitted with ABS before it comes for registration at the RTO. Those already registered and on the road have been given a deadline of March 31, 2019. For two-wheelers above engine capacity of 125cc it is mandatory to use ABS, whereas for vehicles below 125cc the combined braking system (CBS) can be used. At present, ABS need to be compulsorily fitted in tractors carrying hazardous goods or liquid petroleum gas, double decked transport vehicles, and buses that ply on All India Tourist permits. Also, form April 2015, Ministry of Road Transport and Highway has made the ABS mandatory for commercial vehicles (CVs). Initially, all new buses in the M3 category (above 5 tonnes GVW and carrying nine passengers) and trucks launched in the N3 category (above 12 tonnes GVW) will have to be compulsorily fitted with ABS at the time of manufacturing. It will not be available as a retro fitment for existing vehicles. Hence, the introduction of such regulations by the government will boost the Indian braking industry. With the enforcement of safety regulation, the Indian safety system market is expected to increase. This will provide a strong business opportunity to the local manufacturers as most of the OEMs are currently importing the safety systems. With the introduction of ABS mandate, the OEMs will require the system/component suppliers to meet the demand at a lower cost, which can be achieved by engaging with local suppliers. As the brake system (ABS or CBS) is expected to be installed in every vehicle category, Indian automotive market offers a significant opportunity for ABS manufacturers and tier 1 suppliers. As per MarketsandMarkets analysis, the Indian market for internal combustion engine (ICE) vehicles is estimated to grow at a CAGR of 4.77 per cent. The industry is also boosted with the increased demand for two-wheeler segment, which has registered approximate 14 per cent growth in 2017 compared to 2016. 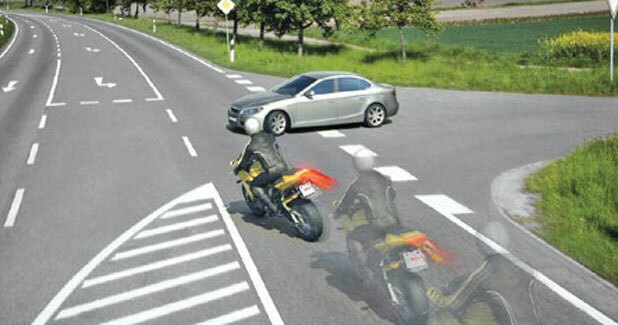 The two-wheeler segment is expected to have the potential market for the advanced braking system. As per the regulatory mandates, the vehicles need to have the ABS pre-installed before the registration for 125cc above category and CBS preinstalled for 125cc below category. This offers a potential business segment for the ABS manufacturers/tier 1 suppliers to gain traction in the market. With the increase in user preference and the ease in vehicle financing, the two-wheeler sales is increasing. The introduction of ABS mandates in the two-wheeler segment offers a potential business opportunity for the manufacturers. To meet the global emission norms, the Indian government had agreed to reduce the emission in accordance with the Paris agreement COP21. To meet the standards, the government is promoting the usage of electric vehicles, which has resulted in an upsurge in electric vehicles sales. As of now, electric vehicles are accounted into the premium vehicles segment in the Indian market. The manufacturers are designing the vehicles with additional comfort and safety features. These vehicles are preinstalled with the advance braking features such as ABS. Thus, as the government is planning to go for fully electric vehicles post 2030, the braking system market is expected to experience a strong growth during this time. Thus, the increase in sales of vehicles, government support for electric and hybrid cars, rising demand for comfort & safety features, and regulatory mandates for ABS installation will have a positive outlook on the Indian brake system market, creating a potential business opportunity for the local as well as international players. With the changing face of the automotive industry, where comfort and safety features are included in the low to mid segment vehicles also, the market for comfort and safety applications/features will increase. Also, the government regulatory changes for speed limits and mandates for installation of ABS in different vehicle categories will force the OEMs to offer advance braking system at the manufacturing end. This will not only create safety for drivers but will also boost the local manufacturing industry, as sourcing of products/components can be done easily and at a lesser price. The government vision of fully electric fleet post 2030 gives immense opportunities for the braking system manufacturers as the electric fleet is estimated to increase exponentially. Hence, the Indian braking system industry is estimated to have significant growth opportunities in the coming years.